Sessions:	Every week in the main hall. 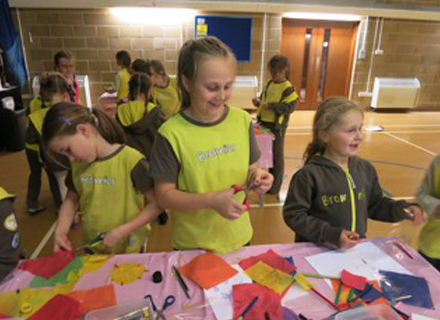 Brownies are girls aged seven to ten who become a member of a Six and follow a programme called the Brownie Adventure. 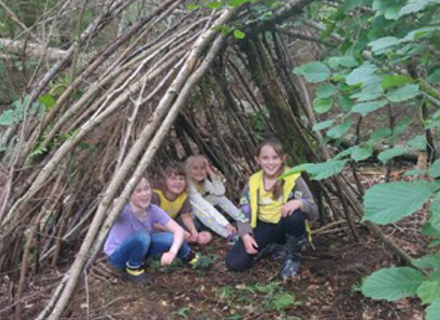 Brownies opens up a world of exciting challenges and the opportunity to try new things and to make brilliant friends. The Women's Institute (WI) was formed in 1915 to revitalise rural communities and encourage women to become more involved in producing food during the First World War. Since then the organisation's aims have broadened and the WI is now the largest voluntary women's organisation in the UK. 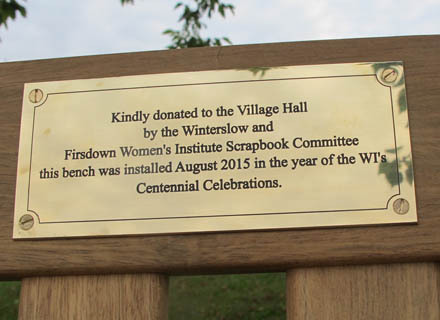 The WI celebrated its centenary in 2015 and currently has 212,000 members in around 6,600 WIs.
On 17th August 2015, The Winterslow and Firsdown WI Scrapbook Committee donated a beautiful garden bench to Winterslow Village Hall. The plaque tells the story and the top photo shows four of our WI ladies involved with the original scrap book, they are from left to right Marion Rosselli, Wendy Golding, Jean Radnedge and Valerie Russell. 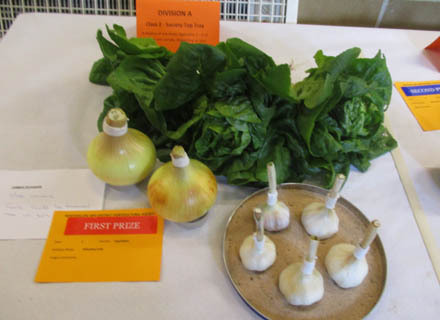 Mary Boxall also contributed but was unable to attend the presentation. 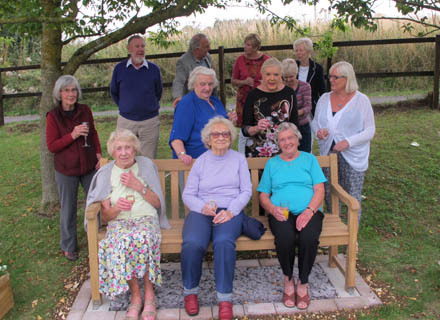 The event was hosted by the members of the Village Hall committee and we had a lovely gathering in the twilight on the garden terrace. Age: Membership is open to all. off plants and other items. All this for £5 a year for the whole family! Please contact a Committee Member or email us at wdhsweb@gmail.com if you would like to join, we’d love to hear from you. Sessions:	Every week in the Meeting Room. Times: Tuesdays 7.15 pm to 9.15 pm. 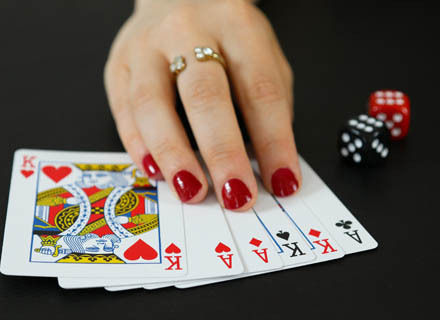 Our friendly Whist group welcomes all ages to play the classic English trick-taking game. An informal atmosphere and lots of fun is guaranteed! Sessions: 4th Thursday of the month. Cost: £2 per session, including refreshment. Are you lost for words? Then come to our club and play the king of word games with our friendly group of wordsmiths. 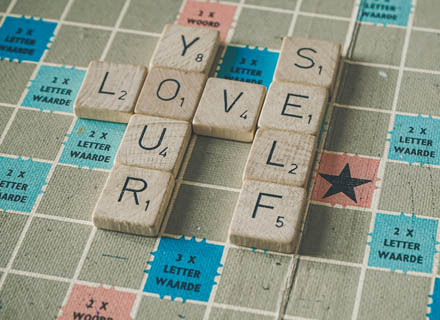 Scrabble has been played since the 1930's and is now played in over 120 countries - so you will be in the company of a huge group of fans. We enjoy an informal atmosphere and refreshments are made available to help players concentrate! 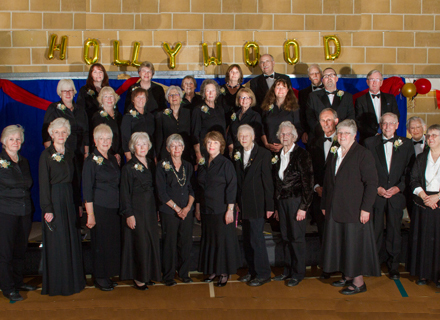 Winterslow Singers is a friendly mixed voice choir. We meet on Thursdays at Winterslow Methodist Church at 7:45. We have several concerts during the year in and around Winterslow, raising money for local charities. We are always keen to welcome new members of any age. We do not hold formal auditions, and practise CDs are produced for those that don’t read music. If you sang at school or with a church choir in past years and fancy having another go, please contact us. Singing is good for you and we always have fun! We have been running as a successful group since January 2007 and the majority of our members have been with us since the formation. We paint in different media – watercolour, pastel, acrylic, gouache, graphite etc and our members are all different in their style of work. 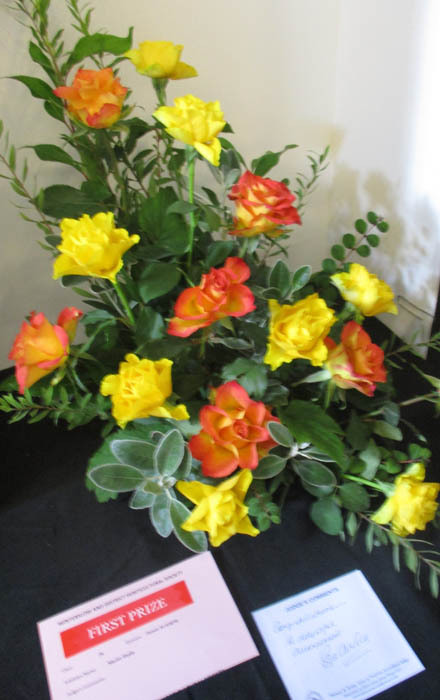 The Winterslow village hall is our weekly venue, meeting on Monday afternoons, 2pm to 4.30pm (except Bank Holidays). We also have day workshops from visiting professional tutors. Every alternate year we hold an exhibition of our work and this is held in the village hall as an evening event with wine and nibbles, which are always popular. 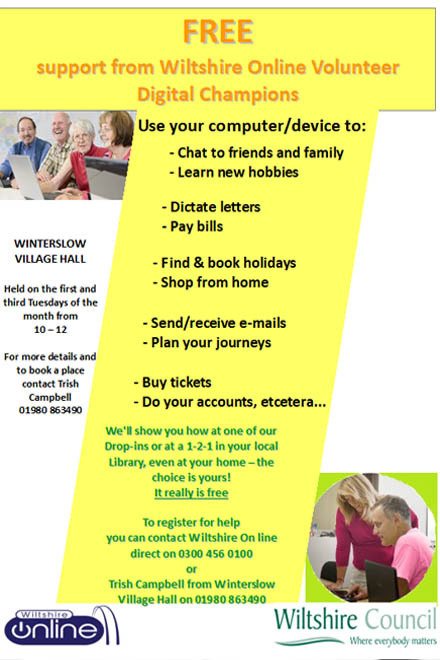 In association with Wiltshire On Line, free computer training held in Truffles coffee shop, from 10 am to 12 noon. The training is on a one to one basis and geared to your specific needs, whether it is how to use Facebook, send emails, use spreadsheets etc. For more details contact Trish Campbell on 01980 863490 or email hallbooking@winterslowvillagehall.org.uk. For more information, see the Winterslow Drama Group website or contact us. Winterslow Drama Group is a thriving, friendly amateur dramatics group that operates in Winterslow. Our productions are varied and always aim to give our audiences a fun evening for anyone who likes the theatre. Our performances vary from drama to thriller to pantomime. More information on our main page.